You know, sometimes I fall into a restless mood when it comes to reading and although I have SO MANY books on my TBR pile that I want to read, I end up wandering aimlessly through my bookshelves and Kindle trying to figure out what to read next. It's kinda crazy, but it happens. Sara failed to complete high school because some awful family stuff happened during her senior year. So now she's attending an academy full of other people who flunked out of high school in hopes of finally graduating. Luckily she's got her best friend Aimee by her side--who has her own set of problems. Oh, and Sara is totally obsessed with a rock star called Tyler Vincent. She's been in love with him since she was fourteen, and while other girls usually move on from their teen idol crushes, she's pretty much still his biggest fan. She knows everything about him and wants desperately to meet him. However, the day she meets the gorgeous Dale Diamond, all of her priorities are turned upside down and the man she built up to be her saviour because so much of her home life has been nothing short of torture, takes a backseat. All she can think about is Dale, and he just happens to look like Tyler and is even a musician who enters his band into the MTV Battle-of-the-Bands. I was actually surprised by how much I enjoyed this book! Sure, there were a few teeny-tiny inconsistencies that showed up along the way, but it was still a solid book. I especially liked the setting--of course I did, since I grew up in the 80's--and even the complications these characters faced. That's the thing about stories set in the 1980's... They're technically considered 'historical' fiction because we're talking late 20th century, but so much of what happened back then is mirrored in today's society. This story proves it. 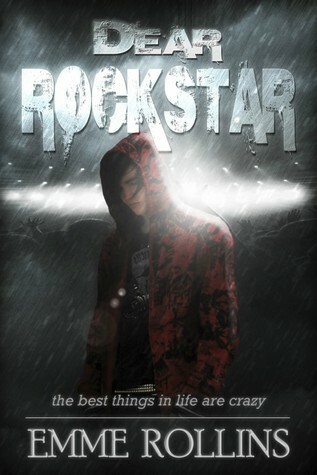 The whole fantasy of falling for a rock star was also very well done. I loved how Sara's obsession wasn't really with the actual Tyler Vincent, but with the perfect man she'd created in her mind while trying to escape the horrors of her real life. It's something we've all been guilty of doing at some stage in our teenage years, isn't it? Yeah, I really enjoyed this story. Not only is it a nice nostalgic trip into the world of music that was the 80's, but it also portrays some very complicated people dealing with real life issues. Oh, and how can I forget the love story at the centre of everything? Sara and Dale are just perfect together. Not just because their mutual passion for each other burns off the pages, but also because they're just as broken.